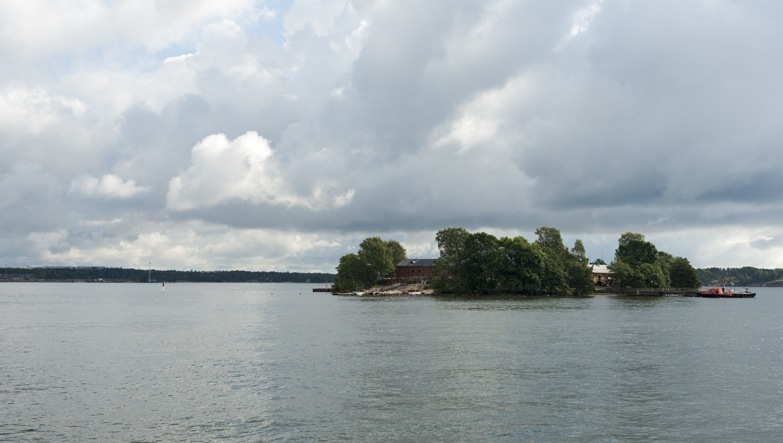 Did you know you could sleep on a UNESCO-listed fortress island just off the coast of Helsinki? Come with us and discover Suomenlinna, a must-visit place for history lovers and location of one of the coolest design hostels in Helsinki. Helsinki is a town born from the marriage of sea and land. If you’re lucky enough to land in Helsinki on a bright, sunny day, you’ll see that the coast around the cities is an ensemble of bays and inlets, isles and islets. It’s a town where nature is always at your doorstep, where you can escape to a national park with a short bus trip or ride your bike on one of several islands just a quick hop from the central harbor. 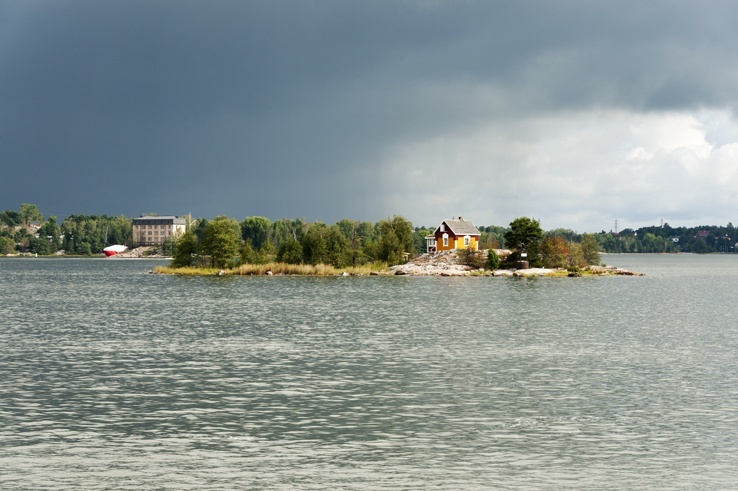 One of such islands is Suomenlinna, a UNESCO historical heritage site. Suomenlinna is a sea fortress built on six islands in 1748 by the Swedish rulers, when Helsinki was still called Helsingfors. 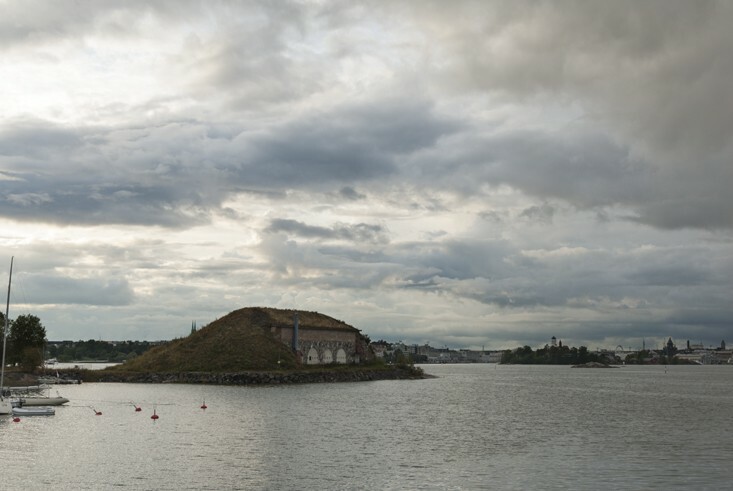 The fortified islands became a naval base, used by the Swedish Navy to ward off the Russians and their imperialistic aims. Unfortunately for the Swedish, the Russians attacked in 1808, defeating the Swedish Navy and starting a hundred year long occupation of Finland. The country gained independence only in 1917, during the aftermath of the Russian Revolution. 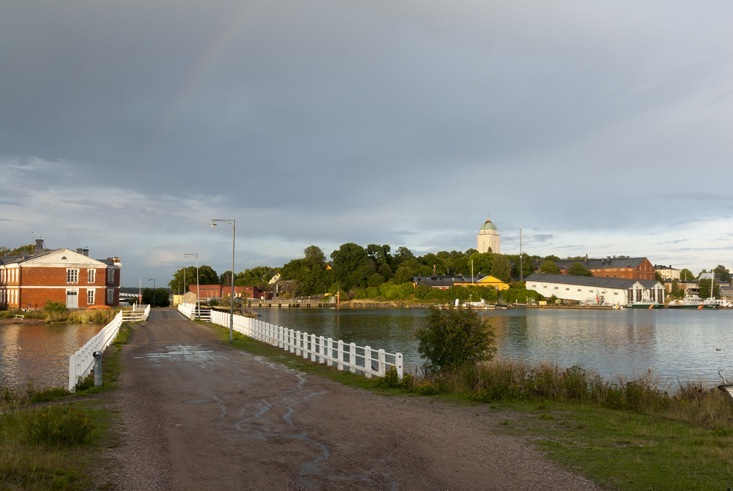 Nowadays, walking around Suomenlinna is walking around three centuries of Finnish history. 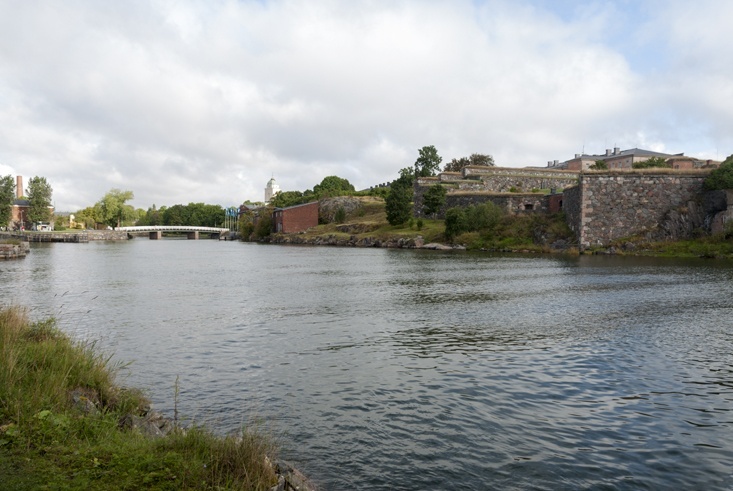 There are six different museums to tour; the main one is Suomenlinna Museum, open year round and dedicated to the history of the fortress island. In summer, you can also visit Ehrensvärd’s museum, focused on the Swedish period of the island, a toy museum and a military museum. And if museums are not your thing? Suomelinna is still an amazing place to visit. 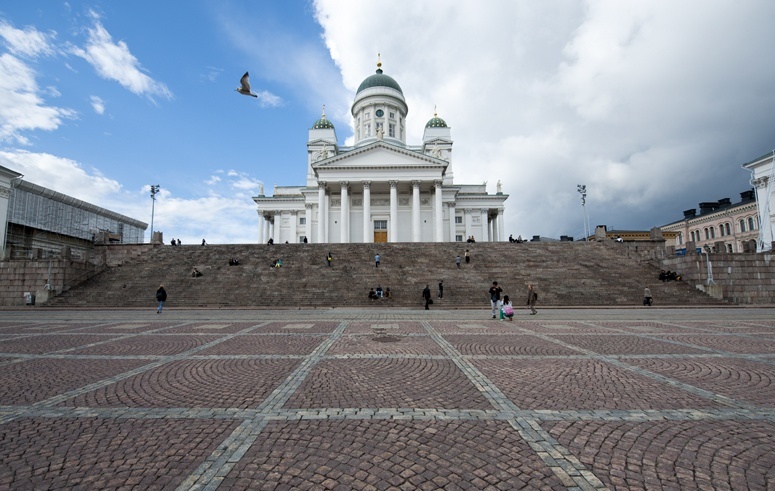 You can walk around the fortress battlements looking over the skyline of Helsinki, with the whitewashed Helsinki Cathedral and the green steeples of Uspenski Orthodox Cathedral visible in the distance. 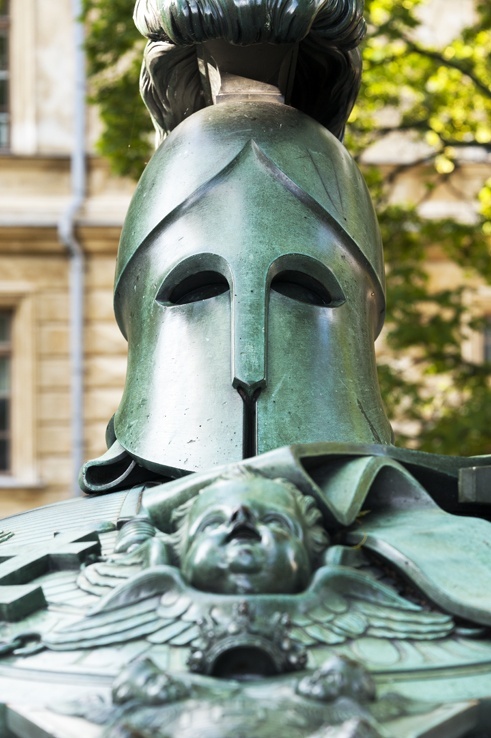 You can visit the tomb of Augustin Ehrensvärd, the founder of Suomenlinna, and tour the tunnels of the fortress, before stumbling onto Vesikko, a Finnish submarine anchored just off the shore. If it’s warm enough, you can even have a swim at the island’s little beach. In winter, you zip across on a ferry that runs through the frozen sea. 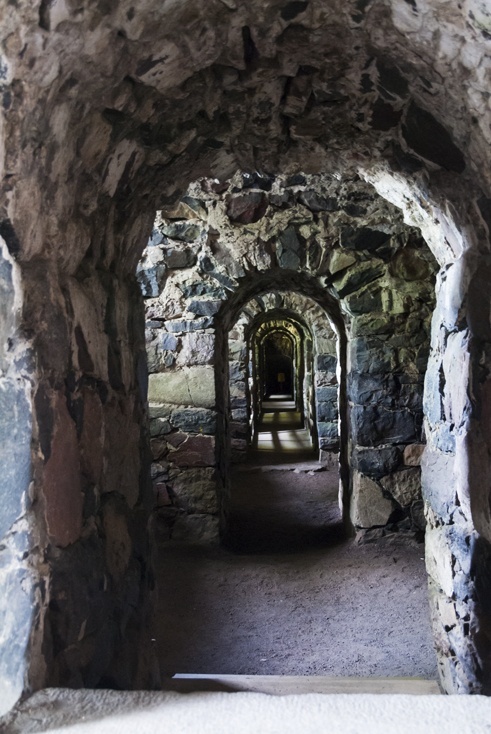 Suomenlinna is definitely a must for history buffs, but not only. It’s a city within a city, still home to 800 residents. Many of them live in the former army barracks, and commute to Helsinki every day thanks to the frequent and efficient ferry service. Suomenlinna is also a popular destination for the young people of Helsinki, who hold impromptu parties in the island’s parks during the long Finnish summer nights. It is the perfect place to have a break from the traffic and concrete of the city centre. Hop on the ferry, and after a fifteen-minute trip across the harbour you’ll find yourself in a place of grassy meadows and laneways, with the sea never out of sight. 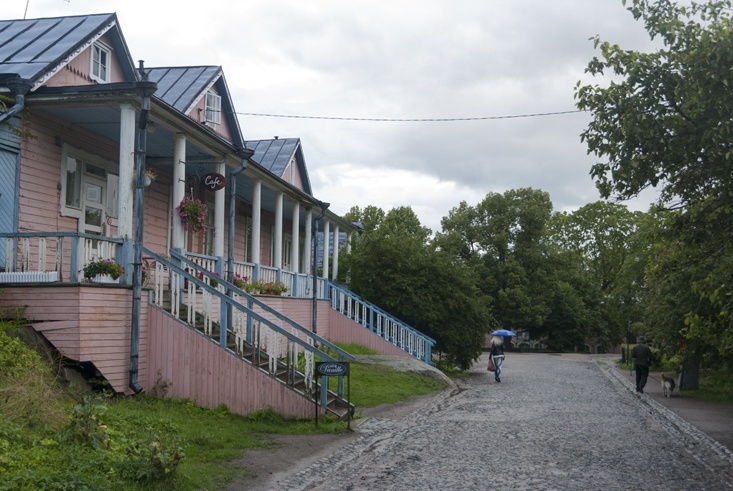 Painted clapboard buildings hide little cafés, such as Café Vanille, selling homemade cakes and cookies and cups of steaming coffee, the Finnish national obsession. Café Vanille is in the pink house! If you’re like me, and love nature but also love being close to the city, you may find yourself walking around Suomenlinna and thinking ‘I could live here’. Well, for a few days you can. And it won’t break the bank, either. 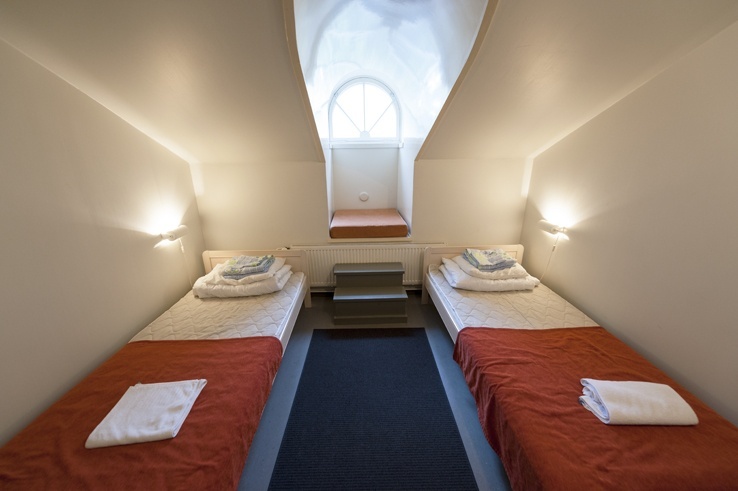 In fact, Suomenlinna Youth Hostel is one of the best budget options in the city, not to mention a place to stay with tons of atmosphere. 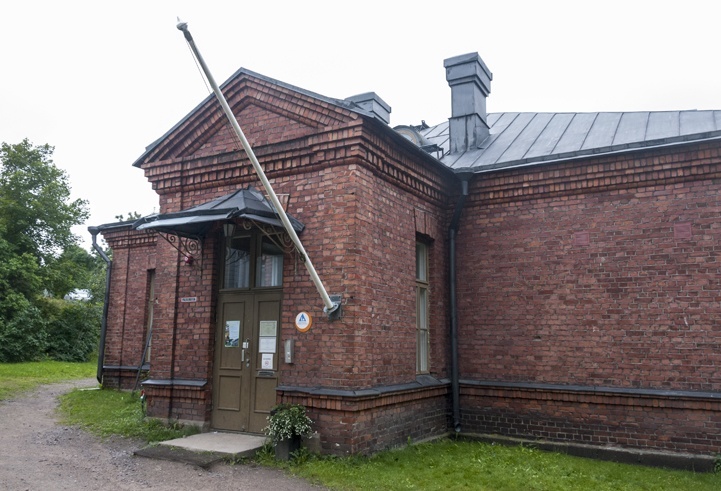 Housed in a reconverted Russian elementary school, Suomenlinna Hostel offers a variety of reasonably priced dorms and private rooms. Our double room was on the first floor, just under the sloping roof. An arched window overlooked trees and a meadow just behind the hostel. Waking up every morning to the song of birds and the rustle of leaves made me forget we were in fact in a European capital. There’s a kitchen for guests to use and a supermarket just a few steps from the front door; but if the weather cooperates, I recommend packing a picnic and heading to one of several wonderful scenic locations around the island, watching a late, long sunset while boats zip across the harbour and huge ferry liners sail from a corner to the other of the Baltic Sea. How about living in that house? Our trip to Finland was made possible thanks to Visit Finland as part of the Outdoors Finland blog trip. We were guests of Suomenlinna Youth Hostel; all opinions are our own. Would love to stay here when we are in Finland. Looks like a great place to grab a bicycle and bike around the island. Never got to see pics of Helsinki and it looks lovely, I want to live in that house in the pic! Wow this looks so great! I would definitely spend some time here. Rooms look pretty basic but it sounds like a fab visit! Suomenlinna looks like a very interesting place! I would love to visit Finland one day! Looks like a unique place to visit! It wasn’t really on my radar ..until now! That house on the island is getting a lot of fans! And I am one them. I wonder if they accept board and lodging. I’d love to stay there while taking the Helsinki experience. I love islands, and ferries, and historic sites . . . I would definitely love it there! I love that photo of the rainbow! I keep hearing so many amazing things about Finland, I would love to go there. Some parts of it even remind me a bit of Canada, except with so much more history! For a hostel that looks pretty nice! I’m in love with that picture of the rainbow and ferris wheel. So pretty! OMG, OMG, OMG how cool is this experience. This is one to add to the bucket list. Very interesting place to visit. 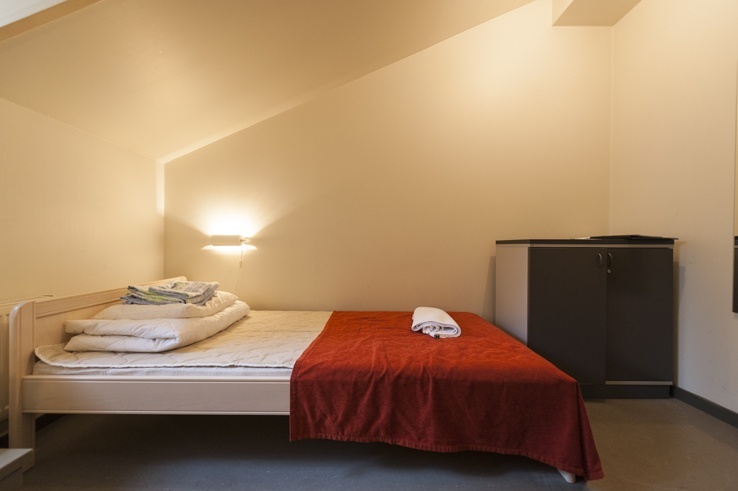 The hostel looks great too: simple and modest, but clean and comfortable. I think I could stay there for a few days. Beautiful photos of the islands, great light. What an incredible place to visit. For some reason, I really like the dichotomy of the fort versus the ferris wheel. It looked at first like it may be a somber place but with the ferris wheel and Cafe Vanille is looks like it turned out to be quite fun after all. Hey Michele! Thanks for your comment, I hope you’re well. 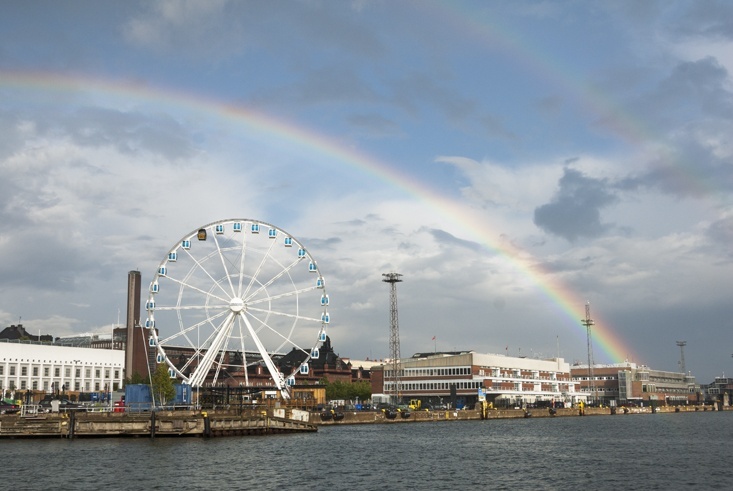 Just to clarify (maybe I didn’t explain it properly in the post) the ferris wheel is not on Suomenlinna itself, but on Helsinki’s waterfront where you catch ferries to the islands, so it’s clearly visible on the way to the islands. Just so that kids don’t get upset in case you visit! Nice views!!! It looks totally amazing, I want to sleep there now! What a fun experience! The fortress looks great to explore and the island looks really pretty. I love the photo of the rainbow! Great post! 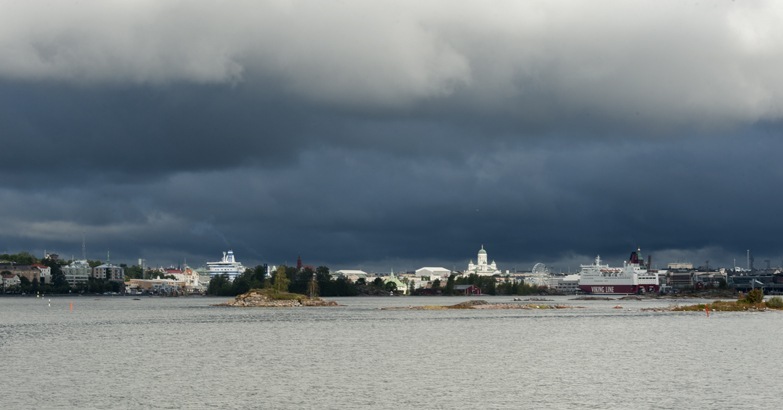 We hope to visit Helsinki this winter and Suomenlinna is definitely on the itinerary! That view of the ferris wheel after the storm is incredible! I love that rainbow shot! Looks like such a neat place. 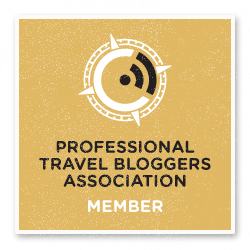 Hi it’s Christa, host of the Sunday Traveler, I just wanted to pop in and say thanks for joining in on the fun! 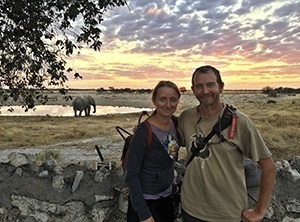 I love how you took us on a journey with you in the post and shared some amazing photos. The hostel looks like a great place to stay on the island. I would love to explore and just get lost in the culture. This place looks wonderful! Rural, calm and peaceful. Tweeted! Suomenlinna sounds charming. 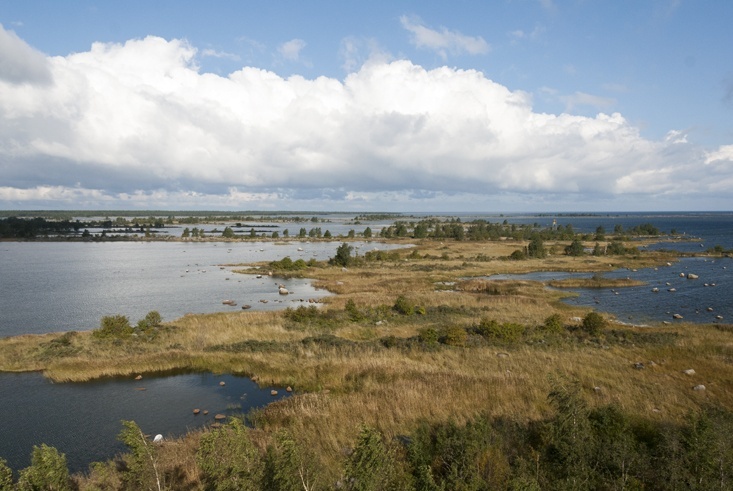 With all of the history, nature, and vistas it sounds like the perfect place to stay outside of Helsinki. Thanks for introducing us to this gem. We’ll have to put it on our wish list when/if we get to Finland. Very cool that you can enjoy the Helsinki skyline from Suomenlinna. Definitely looks like a great place to escape the big city and enjoy some history and even a beach. The hostel looks ultra modern. I loved strolling around Suomenlinna, the view back over the water to Helsinki made my heart soar! I really want to go back, in the spring or summer and stay over, that hostel looks great! I definitely felt I could live there, or even Helsinki!